In a slight change of plans, Team 2 moved up college night. The construction site tour originally planned was cancelled because of politics between the owner and the city of Chicago. 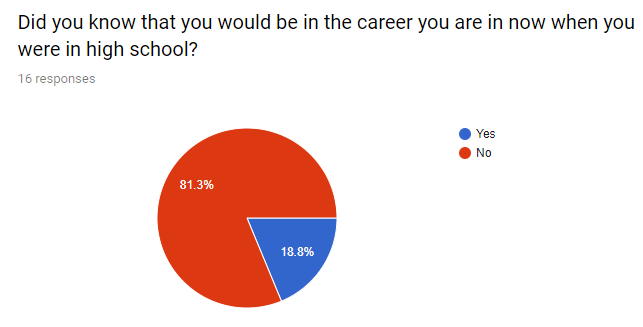 The timing worked out well though, with many of the students in team 2 either in the process of applying to college, already accepted to college, or starting to think about the process. Mentors filled out and presented a survey which showed the diverse experiences and options available in and after college. Mentors explained the importance of being involved and finding something that you are passionate in. College is a great opportunity to try out new things and the mentors hope that students take full advantage! Next week: continuing to develop the CIRT project site.